Over at TechCrunch Europe I’ve written about 3view, a UK startup which is about to launch a new Internet-connected set-top box. The two headline features of the device are support for Freeview HD, the free-to-air terrestrial high definition service rolling out to British households this summer, and Sky Player, the satellite broadcaster’s IPTV service. The 3view set-top features twin DVB-T2 HD tuners and a 500GB hard drive for PVR capability. Ethernet is used to connect the box to a broadband connection. Microsoft has long talked up its Internet TV prowess (they’ve been in the space for a very, very long time), with a combination of its consumer led set-top box a.k.a. the XBox 360 and its telco IPTV solution dubbed Mediaroom. 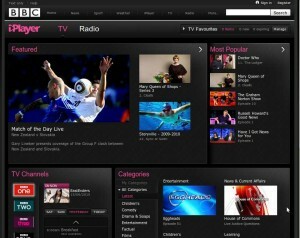 One of the advantages of the company’s connected vision was supposed to be the advent of interactive television based on what the Internet could bring to the table. Think: live instant messaging through the TV with friends while watching the same channel or accessing additional information pulled in from the web, for example. 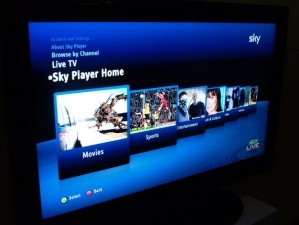 With yesterday’s announcement that satellite broadcaster BSkyB’s broadband TV service ‘Sky Player’ is coming to XBox 360 users in the UK and Ireland, that vision is now a lot more tangible.